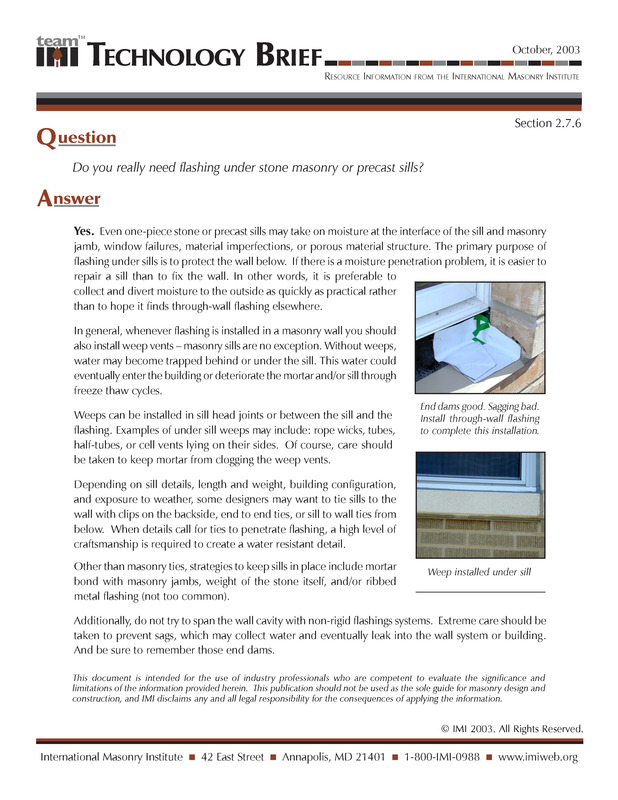 Q: Do you really need flashing under stone masonry or precast sills? collect and divert moisture to the outside as quickly as practical rather than to hope it finds through-wall flashing elsewhere. 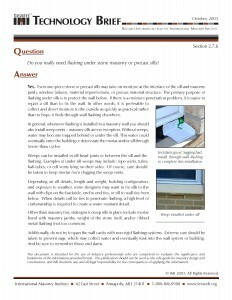 In general, whenever flashing is installed in a masonry wall you should also install weep vents – masonry sills are no exception. Without weeps, water may become trapped behind or under the sill. This water could eventually enter the building or deteriorate the mortar and/or sill through freeze thaw cycles.